When the children arrive they are individually welcomed. Parents are encouraged to settle their children in if needed. Children are free to choose their own activities, some of which have been set out by the teachers. These could include printing, building with bricks, painting, arts and crafts, playdough, wooden puzzles, Duplo, Lego, Home corner, small world play or a group project such as a large collage. Throughout the day, children have regular times when they are encouraged to choose and 'read' their own books from our select library of carefully chosen beautiful story and information books. 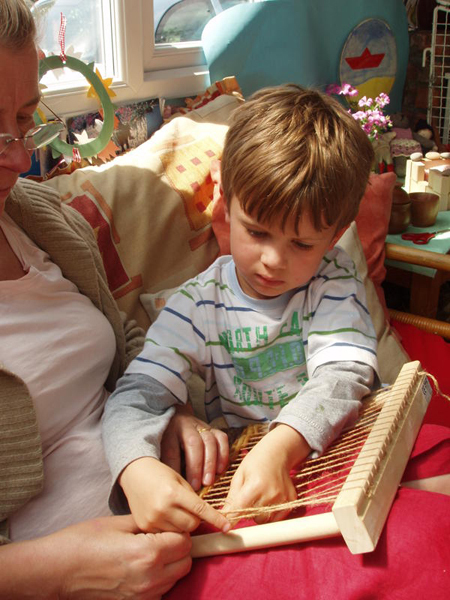 The older children can also learn weaving in the afternoons and make a little piece of woven art to take with them when they leave for school. 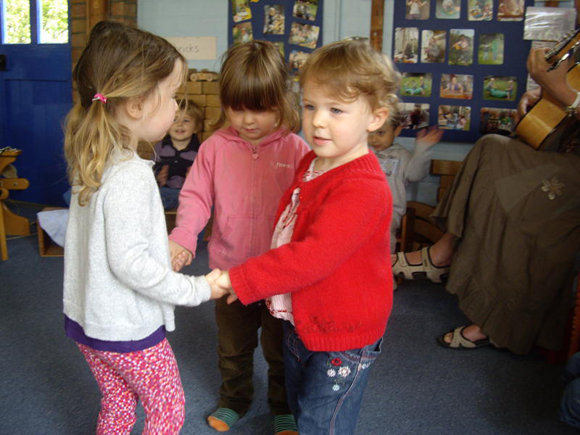 2 .15 – 2.30 pm Sharing songs and stories from different cultures. 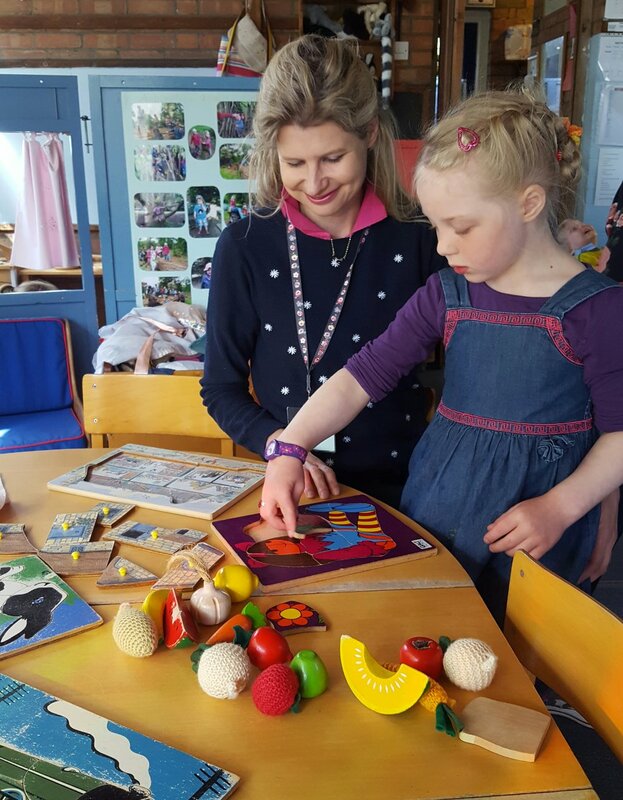 Every day there are special activities on offer, but drawing, cutting, painting, water-play, sand-play, music and storytime are going on all week.